Most Small Business Owners and Sole Traders don’t understand the rules around Payment on Account. But they might need to find a lot more money for the taxman! Find out why Kent’s sole traders and business directors who have a tax liability of just £1000 could have to pay next year’s income tax in advance through HMRC’s Payment on Account rules. Are YOU likely to be stung for ALL your income tax payments up front? Mark Telford, Tax Advisor explains all. Speak to any group of accountants (or their clients) and you’ll find one of the subjects which causes most confusion is PAYMENT ON ACCOUNT or POA. 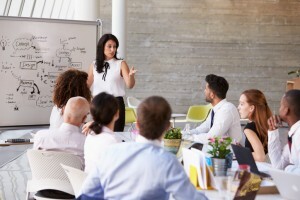 It’s an area where advance planning between the small business owner, company director or sole trader and their accountant/tax advisor will reap benefits – and reduce stress levels – as the January 31st (and July 31st) deadline approaches. OK. What are payments on account? Payments on account are where you have to pay the tax that you are likely to owe for the current tax year in advance. Why would I have to make payments on account? less than 80% of your income gets taxed through PAYE you will have to make POA. How much are payments on account? Each POA is equal to 50% of the previous year’s tax and class 4 NIC liability. You have to make two payments, six months apart, and the total will be the equivalent of all your previous year’s tax and class 4 national insurance contributions. The first payment on account is due by 31 January for the tax year that ended the previous April. And the second is due by the following 31 July. So, your 2017/18 payments on account – each equal to 50% of your 2016/17 income tax and Class 4 liability – are due by 31 January 2018 and 31 July 2018. Any balance and your 2017/18 Class 2 National Insurance liability are then due to be paid by 31 January 2019. Is that all the tax I need to be pay? Not necessarily. If there is any remaining tax due for the year it must be paid by 31 January after the end of the tax year. Class 2 NIC is now paid through self-assessment and that needs to be paid by 31 January after the end of the tax year but it isn’t included in your POA calculations. 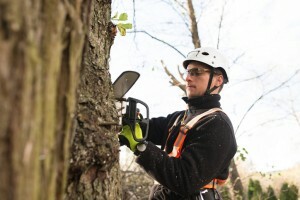 John is a self employed tree surgeon and he made a trading profit* this year of £25,000. He has no other sources of income. *Trading profit is basically his earnings less expenses. As for most of us, his personal tax allowance – the income he’s entitled to earn before paying tax – is £11,500. So, after taking into account his personal allowance, John has £13,500 of income which is subject to tax. Remember, class 4 national insurance contributions of 9% are due on his profits over £8,164. So that’s 9% of £16,836 or £1,515.24. John’s total tax and NIC liability = £4,215.24. Which is over the £1,000 threshold. So, not only does John have to pay his tax bill for 2017/18, he must also make two payments on account for the 2018/19 tax year of £2,107.62, each equal to 50% of his 2017/18 liability. When are John’s Payments on Account due? Then on 31 January 2020 if there is additional tax to pay for the 2018/19 tax year (based on John’s actual profits) he must pay the balance plus the first payment on account for the 2019/20 tax year. Sarah is a management consultant who runs her own limited company. In the tax year ending 5 April 2018, she paid herself a salary of £8,000 and a dividend of £50,000. She had no other sources of income and doesn’t receive child allowance . Therefore her total income is £58,000. She receives her personal allowance of £11,500 and a dividend allowance for 2017/8 of £5,000. So, her total tax allowance is £16,500. This means that £41,500 of her (dividend) income is taxable. The ordinary Dividend Tax rate of 7.5% is applied to dividend payments up to £45,000 minus any tax allowance (in Sarah’s case £16,500). So the ordinary Dividend Tax is due on £28,500. But as her income is £58,000, she is taxed at the higher Dividend Tax rate of 32.5% on the remaining £13,000. As Sarah’s total tax and NIC liability is more than £1,000 she will need to make two payments on account for the 2018/19 tax year of £3,181.25 or 50% of her 2017/18 liability. When are Sarah’s Payments on Account due? Then on 31 January 2020 if there is any additional tax to pay for the 2018/19 tax year (based on Sarah’s actual profits) she must pay the balance plus her first payment on account for the 2019/20 tax year. What happens if my total income falls in the following year? If John or Sarah know that their total income for the 2018/19 tax year will be less than their income in 2017/18, they can apply to HMRC to reduce their payments on account. When completing your tax return for 2017/18. Via your Government Gateway online account if you have one. By completing a form SA303 and sending it to HMRC. Warning! Exercise caution when proposing to reduce your POA as if they are lowered by too much and you end up with additional tax and NIC to pay, HMRC will charge you interest! If you have made the move from full time employment – with a salary taxed through PAYE – to being self-employed or paying a small salary with dividends through a limited company, POA can come as a nasty shock. The same applies to anyone whose income rises significantly during the current year. If this happens, I always recommend that clients speak to us ASAP. 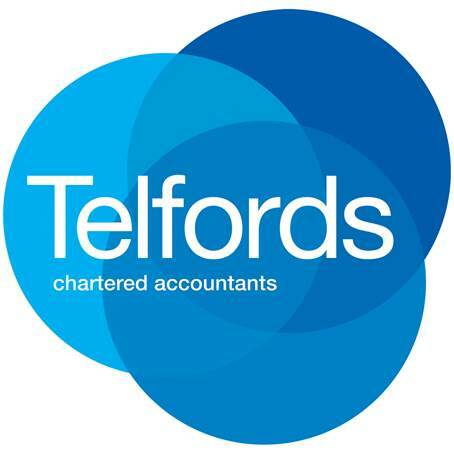 At Telfords Chartered Accountants in Kent we always recommend that clients have a tax planning meeting with us. By estimating your future income levels we can calculate your likely tax liabilities and avoid any unpleasant surprises, courtesy of HMRC!